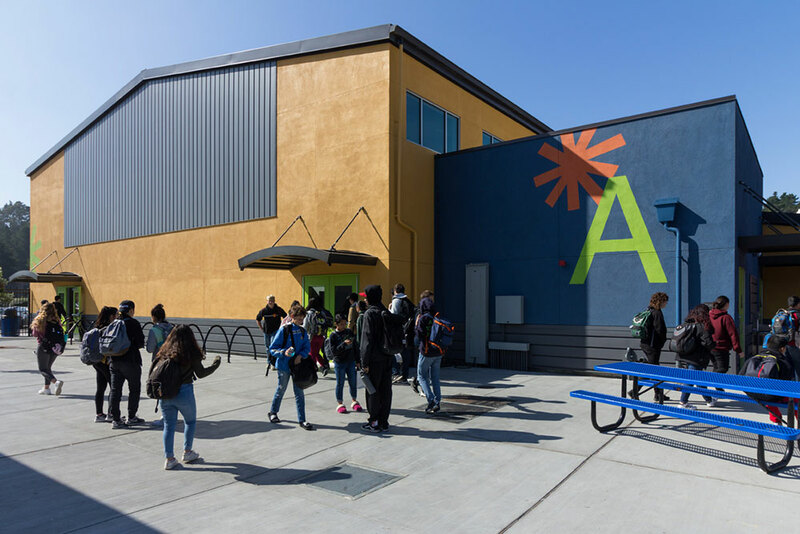 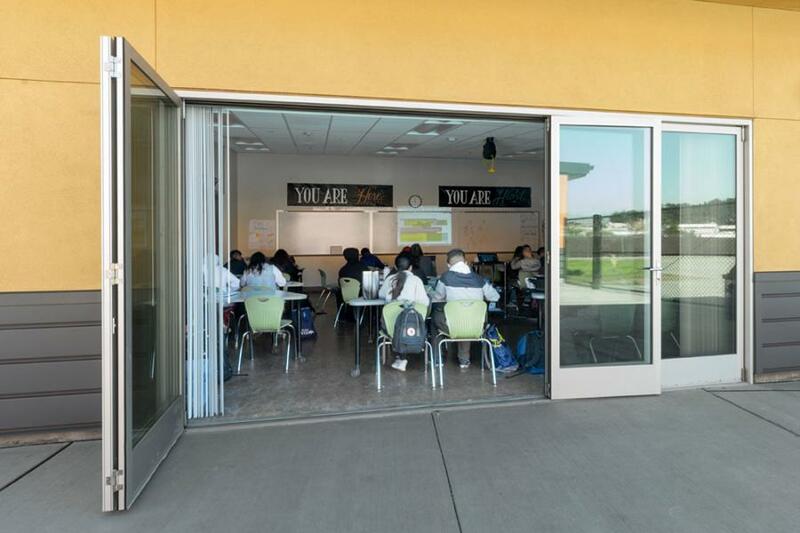 Summit Shasta is a new high school campus serving 400 students in Daly City. The campus consists of five pre-engineered one-story buildings, a multi-use courtyard, and parking lot. 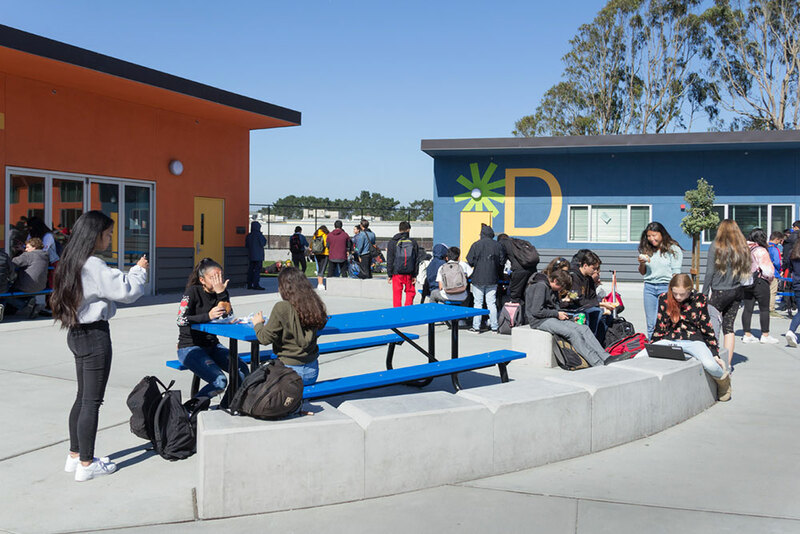 The buildings house the multi-purpose room with a high school sized regulation basketball court and bleachers, the administration spaces, and servery. 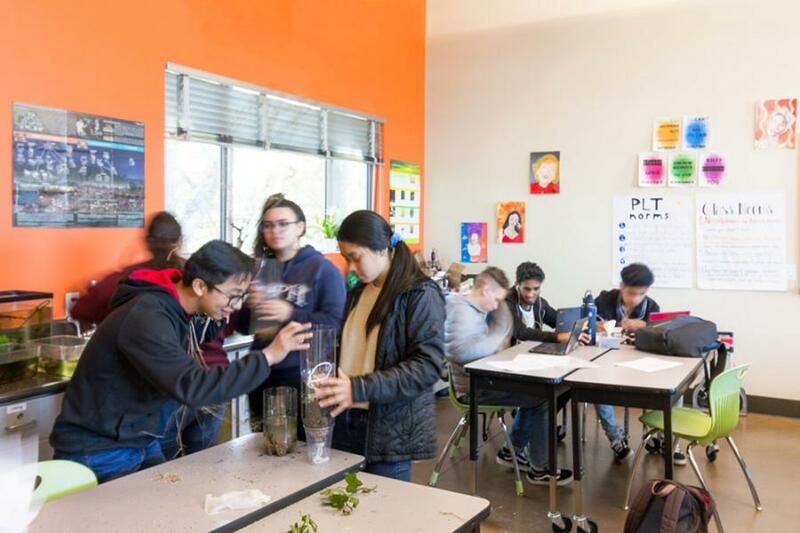 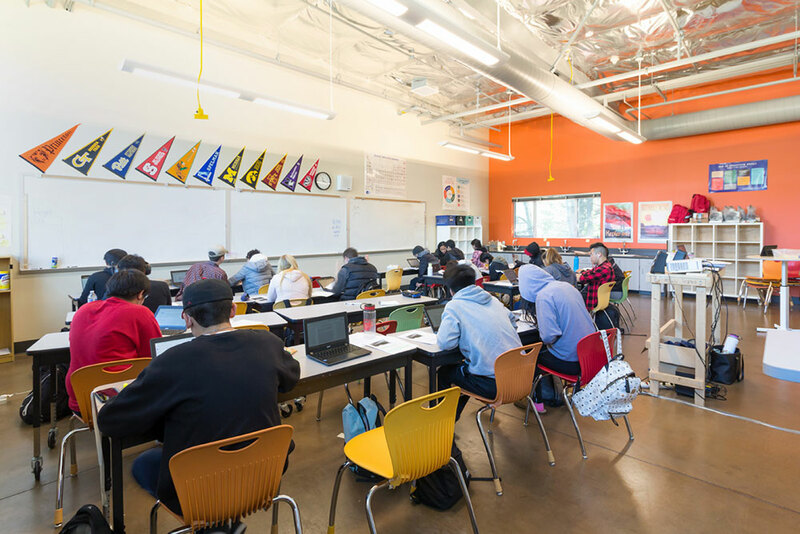 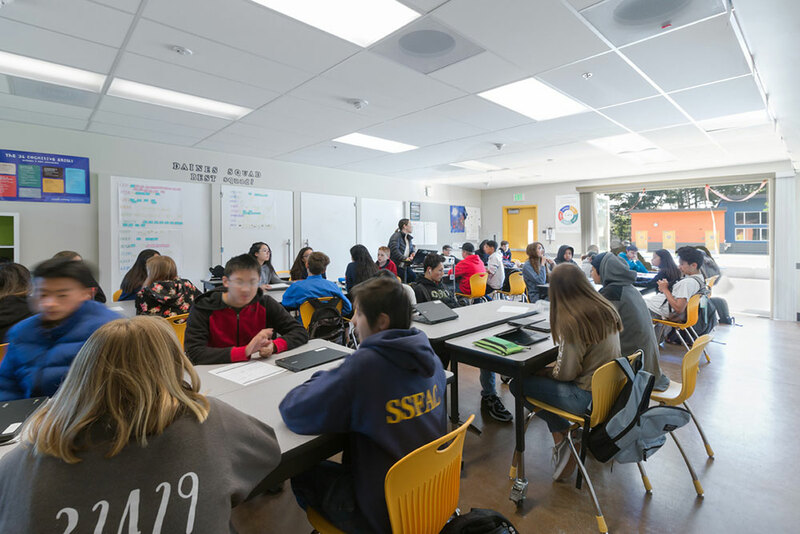 The buildings also house learning spaces, including two STEM rooms and a flexible “Great Room,” which are opened via interior and exterior operable partitions to create a larger indoor/outdoor campus-wide collaborative space with outdoor seating. 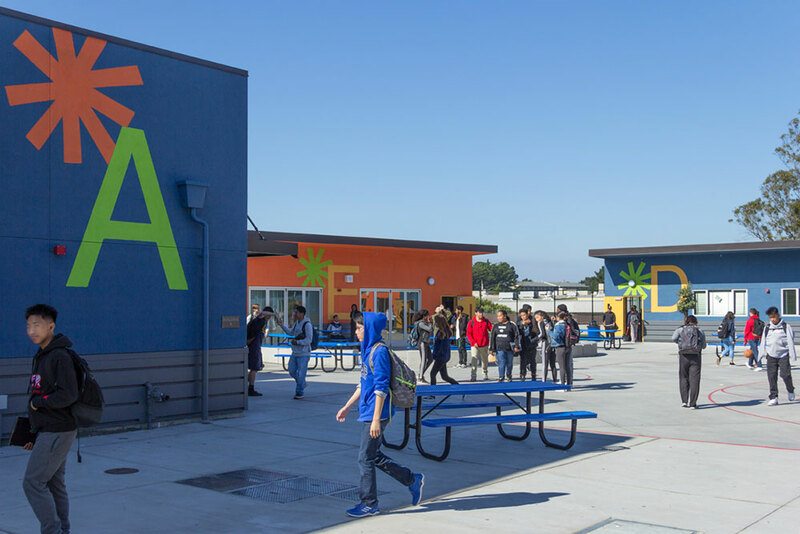 The 2.47-acre site, which formally housed a baseball field and has since been unoccupied, went through an extensive process with the California Environmental Quality Act (CEQA) to assess its impact on the surrounding environment. 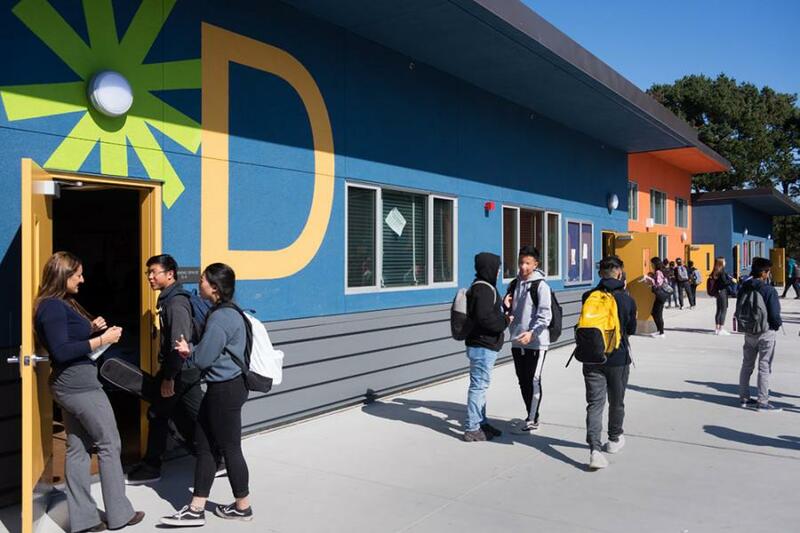 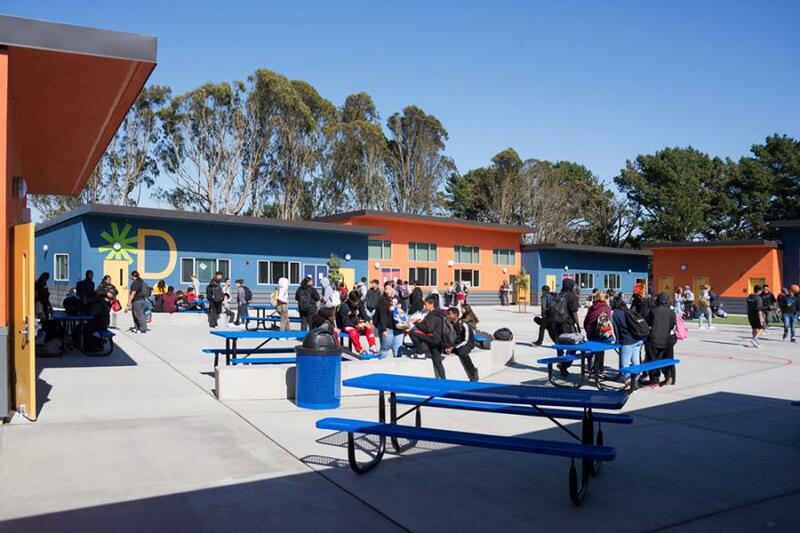 Mitigation measures were identified and, in conjunction with the City of Daly City, addressed in the design of the campus and surrounding neighborhood. 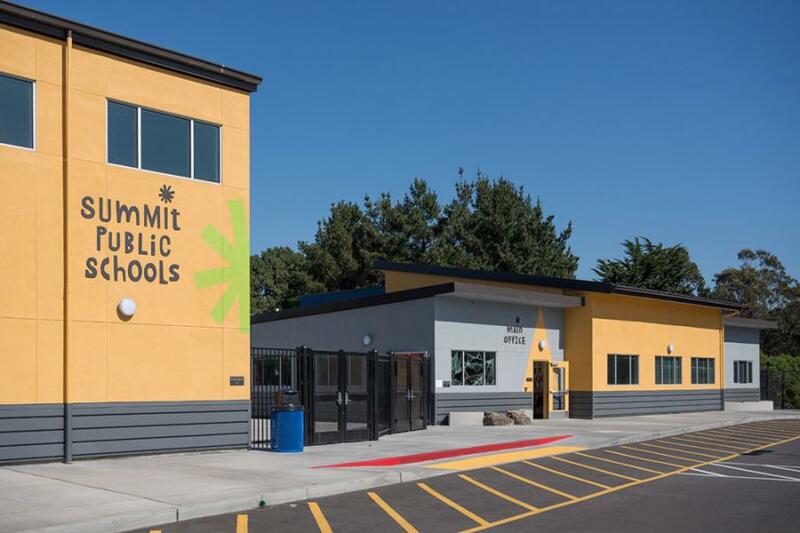 The site and buildings followed the Division of the State Architect process for approval. 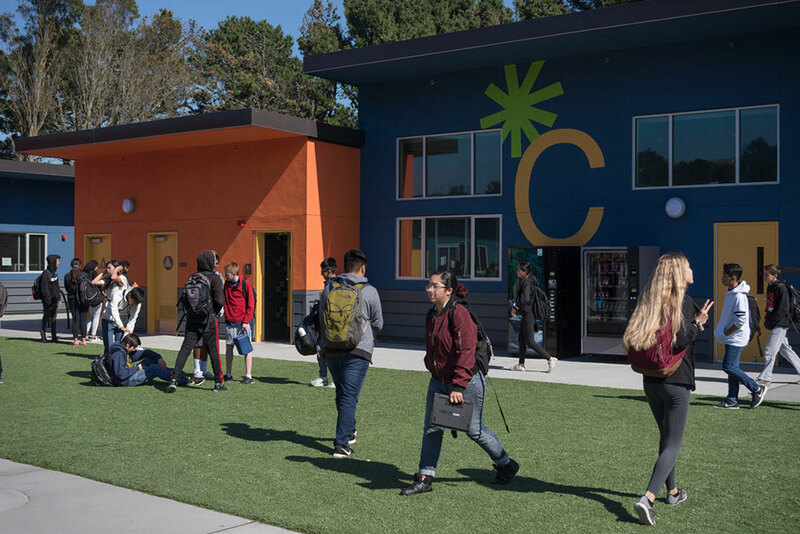 The campus was designed to feel like a small neighborhood, where each building has a slightly different character and is cohesively unified by the central courtyard. 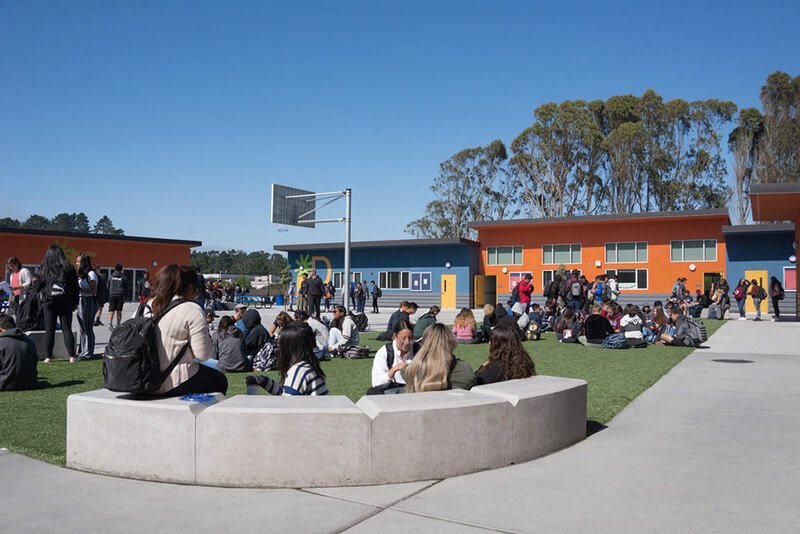 Various outdoor spaces dually function as learning and recreational spaces, such as turf areas, seat walls, and a half basketball court, giving the students different opportunities for interaction.